Martiniano glove shoe has slowly become a cult favourite and a wardrobe stable for every trend esthetician in any age. 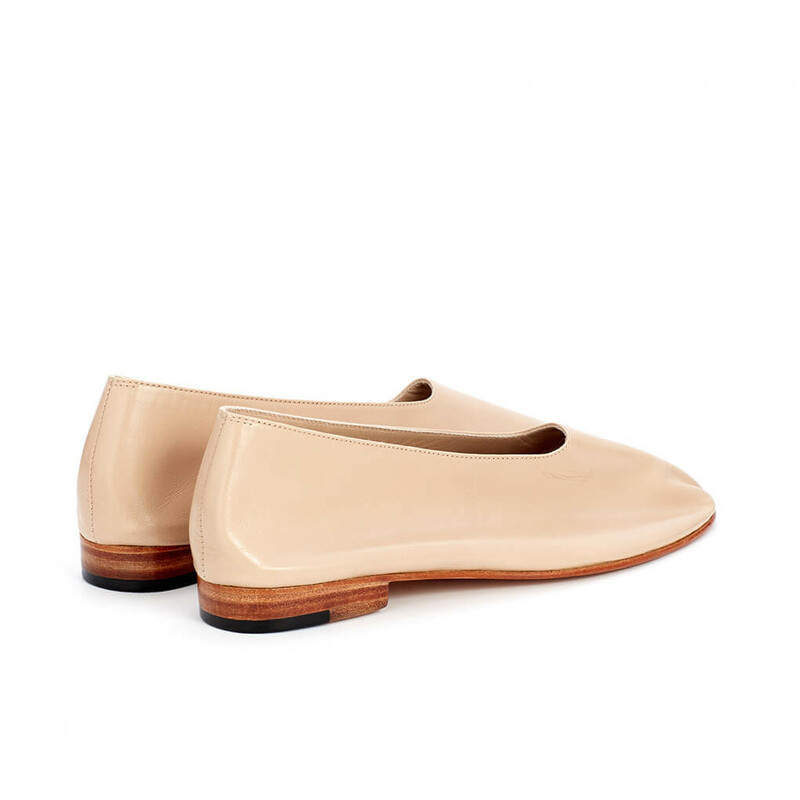 This sleek ballet-like shoe is inspired by the traditional South-American loafers as well as by the flexible and form-fitting slippers of acrobats and dancers. The designer Martiniano Lopez Crozet's background in performance art and dance is evident in Martiniano shoes and in this particular glove style that pretty much defines the brand. Due to the nature of the extremely soft aniline kid leather, the characterful form of the s. Read more..
Due to the nature of the extremely soft aniline kid leather, the characterful form of the shoe is defined by the natural curves of the feet. 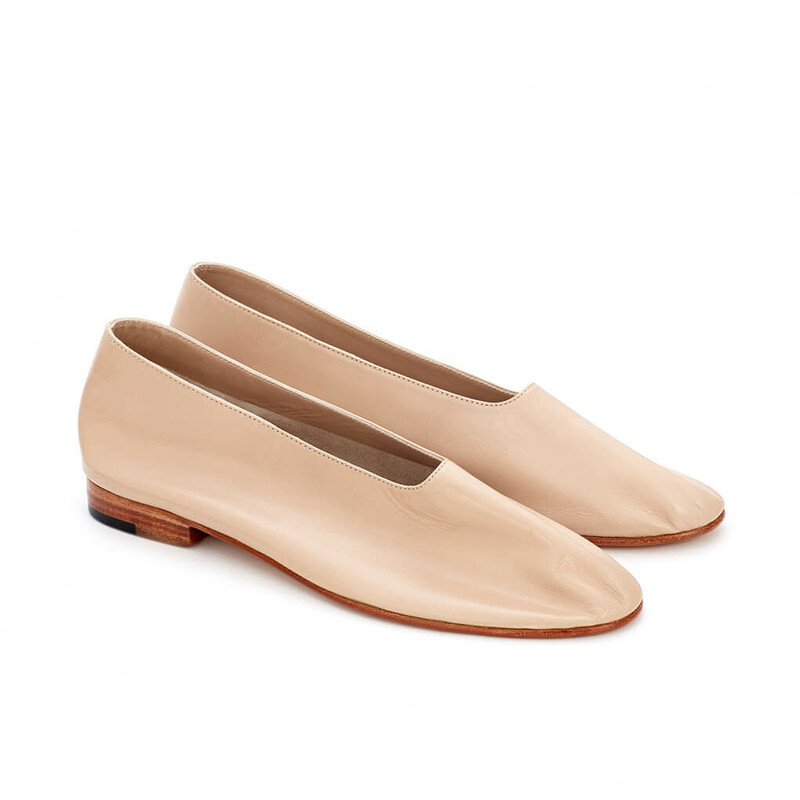 A lot like a ballet flat but with a higher vamp and a distinctive almond toe. These shoes are skilfully cut, sewn and crafted totally by hand in Buenos Aires, Argentina. 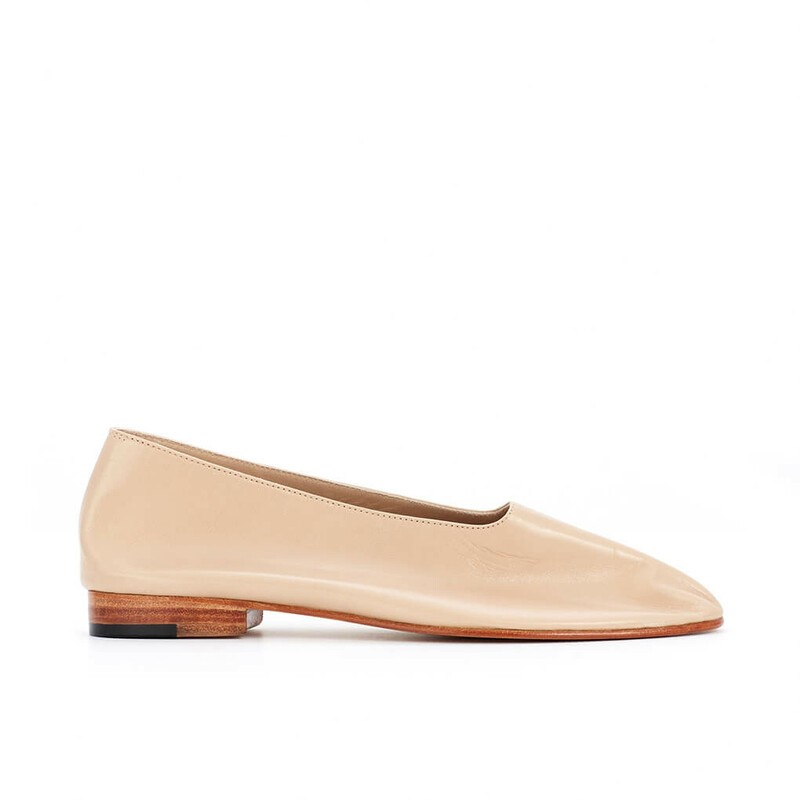 The contrasting leather sole perfects the otherwise minimalistic design. Made from super soft 100% kid leather with a flexible fit. The insole of the shoe is comfortable padded and super soft. Unlined with natural suede interior for added breathability, flexibility and comfort. Outsole features a black rubber tab under the heel for resistance. 1 x Glove Shoes Antelope was added to your shopping bag. 1 x Glove Shoes Antelope was added to your wishlist.